Rahul Dravid and Sourav Ganguly go back a long way, even before they made their Test debuts together, at Lord's in 1996, exploding at the international stage. DUBAI: Rahul Dravid and Sourav Ganguly go back a long way, even before they made their Test debuts together, at Lord's in 1996, exploding at the international stage. They played age-group cricket in India together and travelled as part of the Indian youth teams in the late 1980s. Ganguly had made an unmemorable one-day international debut in 1992, but their Test careers started in the same match at Lord's during the 1996 tour. Ganguly scored 131 from No. 3 spot Dravid would make his own in the coming years and Dravid, batting at No 7, hit 95. The two were integral parts of the Indian team that did so very well through the 2000s. Ganguly became one of the team's key middle-order batsmen and, more importantly, a path-breaking leader, while Dravid, also a captain with a strong record, finished his career as one of the greatest run-scorers in the game 13,288 in Tests and 10,889 in ODIs, an ICC report on Thursday said. 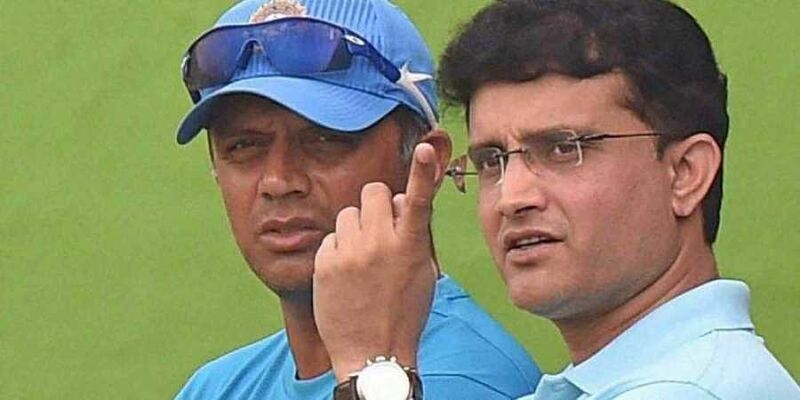 The admiration for the other is evident as Ganguly, now 46, says about his 45-year-old friend, "Go to England, go to South Africa, go to West Indies, you would want Rahul Dravid to bat for your life.
" And so many years of travelling and playing together means that many memories, many of them off the field too. "Sourav had an uncle, in London, and he'd forever go off to his uncle's house and get good Indian food. When you're that young and struggling for an Indian meal I'm going way back," says Dravid with a laugh about a tour of England in 1989.